It’s a Phone Phreak’s Life! Gaming Ma Bell . . .
Back in the late 1950s and early 1960s, subscribing to magazines was a big deal. Every family took pride in having a slough of magazines arriving at their home and reading them was a pleasant way to stay informed and pass a lazy afternoon. My mom subscribed to McCall’s, Good Housekeeping, Vogue and some other fashion magazines; my dad, who was a pilot, subscribed to a bunch of different magazines. 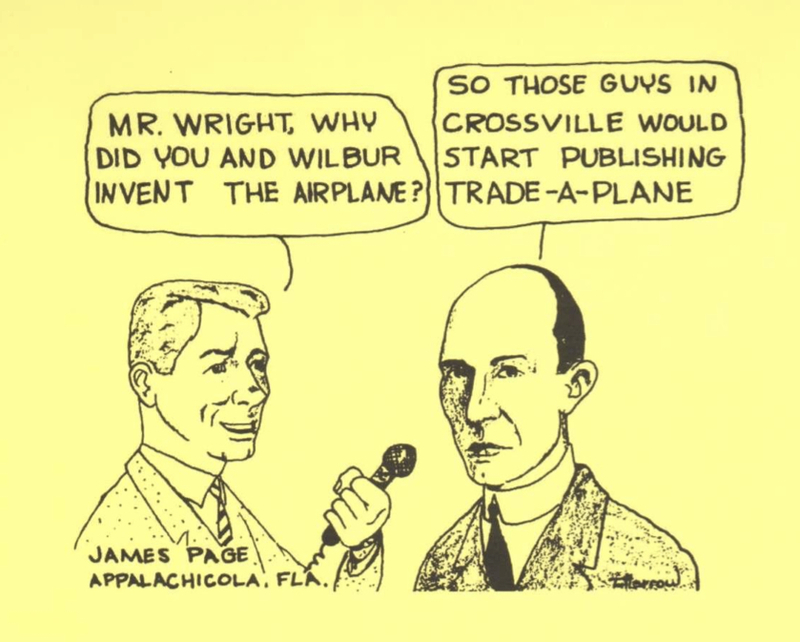 There was Trade-A-Plane, a tabloid showing planes for sale across the world printed on yellow newsprint. It always had a sixth-page sized single-panel pen-and-ink cartoon on the first page/cover, and that publication printed a cartoon of mine in 1962. As a fourth-grader, this was an enormous deal for me (I was now a published cartoonist!!!) and my dad was stunned when he saw it in his magazine. He also got Flying magazine and whatever else was available concerning airplanes, along with Popular Science, Popular Mechanics, True, Argosy, Reader’s Digest, and, of course, National Geographic. The family also got Life, TV Guide, Look and the Saturday Evening Post. We loved them all. I don’t recall my brother, Jeffrey, subscribing to anything, but I subscribed to Mad, American Heritage and a couple of Superman-family comics. My favorite was the magazine put out by the folks at the Boy Scouts of America: Boys’ Life. The Boys’ Life of my day was a terrific read. Not only did it have stories about hunting for fossils in the Far West or what it was like to be a cadet at West Point or what was happening next at NASA; it also had some top-notch comic-strip features that I looked forward to seeing every month. Several cartoon features were promotional comic-strip-type ads by big companies. My favorite was the adventures of Chip Martin, College Reporter, which was sponsored by Bell Telephone and had art by the young Neal Adams, who went on to revolutionize the look of comic books in the late 1960s. His slick, clean style really caught my eye. One unanticipated result of all this info pouring into the homes of kids of the early 1960s was that it gave some of us naughty ideas. We may have been Boy Scouts, but we were still boys with time on our hands and vivid imaginations and we came up with some creative ways to have fun, as you will see. Most of my readers weren’t around in the days of no-such-thing-as-a-cell-phone when most telephones had rotary dials and were wired to a wall and there was one big phone company that made certain that long-distance phone calls cost a fortune, so the following may be hard for them to imagine: Many of us kids, including a couple of brainiac nerds named Steve Jobs and Bill Gates, got interested in computers by way of our attempts to hack free long-distance telephone service from the Bell telephone monopoly. We proudly called ourselves phone phreaks, and that little community, with its mimeographed newsletters passed around schools or head shops on the sly, is where I first heard of Jobs and Gates, years before Apple or Microsoft were even dreamed of. Here’s a grainy picture of future Apple computer founders Steve Jobs and Stephen Wozniak playing with their phone-hacking toys. In the early 1970s, we all had trick homemade electronic blue- or black-boxes that could get us into a Bell long-distance trunk line for free; they were made of pilfered organ keys that could replicate the duotone sounds that controlled a telephone switchboard. We scoured the local Radio Shacks for little goodies that might be put to creative use. We were astonished when we discovered that a freebie plastic whistle that came in boxes of Cap’n Crunch cereal could get you into the free long-distance circuits, too, and those whistles were much sought after and in the pockets of many a phone phreak in those days. We loved getting something free from Ma Bell! Just blow your Cap’n Crunch whistle– mine was a baby-blue one– into a telephone handset microphone and you can call anywhere in the world for free! Take that, Ma Bell! Want to talk for hours to a girl who goes to school several area codes away for free? NO PROBLEM!!! Just use my handy blue Cap’n Crunch whistle, my friend!!! Enough true confessions; here are some Bell Telephone comics from the very early 1960s, drawn by Neal Adams, that show the phones of the future! WOW!!! Of course, all that Up Ma Bell! stuff was very illegal, but we felt as though a monopoly like the phone company was fair game. And it was a game: Bell Labs employed short-haired smart guys in suits and ties and we were long-haired smart guys in jeans and tie-dyed T-shirts matching wits with them. Many phone phreaks later worked for the many phone companies that came into being after the government shattered the Bell Telephone monopoly. Those ex-phreaks knew phones and how they worked. Other ex-phreaks, like Jobs, Wozniak and Gates, used the skills they learned by soldering electronic phone-phreaking gizmos to create the first personal computers. This ex-phreak used those computers to change how folks made maps or colored comic books. At some point, even the weird turn pro.